Camels are mammals of the Camelidae family. 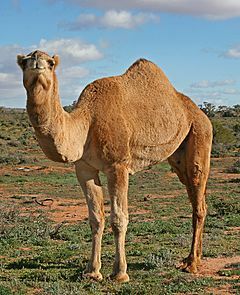 Camels form the genus Camelus. They are also called Afro-Asiatic Camelids. There are two living species of camels. 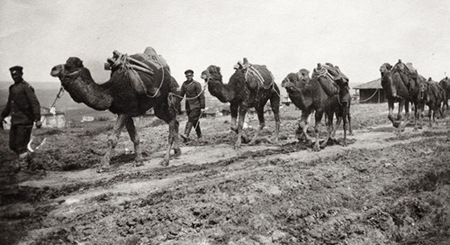 Camels have existed on Earth since prehistoric times. Camels live in desert, where it is hot and dry. Camels have adaptations that help them live in deserts. They have a thick coat of hair that protects them from the sun. They have wide, soft feet, so they can walk a long time in the hot sand. Camel Facts for Kids. Kiddle Encyclopedia.